The Waxoyl brand stands for more than fifty years of experience in fight against corrosion and weather damage. 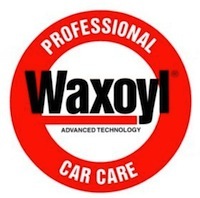 Waxoyl Professional makes customized solutions to retain value to your vehicle. It is especially effective for controlling rust and corrosion on older vehicles. The chemicals within the product will soak into rust and stop it in its tracks better than any other compound product. Waxoyl corrosion prevention does not come with any guarantees, but comes with a long list of satisfied customer testimonials and a proven track record. The undercarriage will be power washed, dried, and any original factory wax and any loose scale is completely removed. Our trained staff are very meticulous about their work. They will make sure to clean all surfaces including nooks and crannies where rust can accumulate. 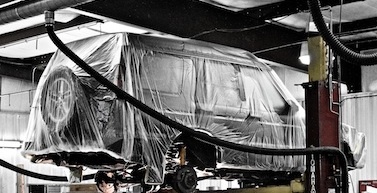 Older vehicles need additional preparation due to more corrosion, therefore take more time. Privacy Notice: We will never share your personal information with anyone unless you specifically ask us to. ™ Keeping You In The Ride Of Your Choice is a trademark of J. White's Automotive, LLC.